Before you ask this question, just know that yes, the library does have that. Before I started working in the library, I only came to this treasure chest to print papers. I had no idea that it would become my favorite study space on campus and most trusted resource center. Most students think that the library only has old Disney movies and outdated films, but guess what? The library has the newest releases. 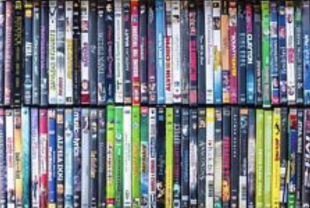 In most cases, the library will have new movies before Netflix does. At the moment the library’s most recent movies are A Wrinkle in Time, Avengers: Infinity War, Black Panther, and I Feel Pretty. These movies are all available for check out. The library also has museum passes! Not all of these passes give students free admission, but they all do give students discounts on ticket prices. The library has museum passes for the MFA, New England Aquarium, JFK Library that can be used year round. There are also discounts on other local museum tickets through the library, so come to the library or look at the library libguide linked above to learn more! You can check out much more than books at the Helen Temple Cooke Library. The library allows students to check out headphones, iPad keyboards, laptops, cameras, iPads, Kindles, newspapers, magazines, iPad and laptop chargers, whiteboard markers, and Study Rooms (if you are an 11th or 12th grader). Come experience the Helen Temple Cooke Library for yourself!